Stars of the hit Scottish TV comedy Still Game are hoping to raise a four-figure sum for charity by auctioning a specially designed poker table. 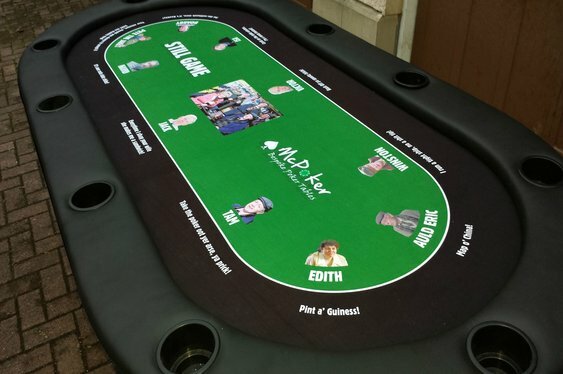 Created by star of the show Greg Hemphill and the owner of McPoker Tables, Mike McCarron, the table features many of the cast and their famous catchphrases. The tables will be auctioned off at the Riverboat Casino, Glasgow, next month with all funds going to the TOFS. The charity helps children born with tracheo-oesophageal fistula, a condition that makes swallowing virtually impossible. Image courtesy of McPoker Tables.